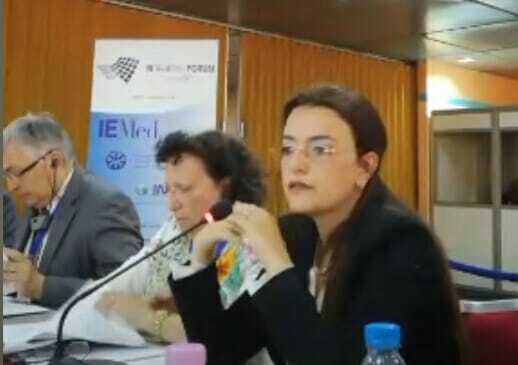 The III MedThink 5+5 Forum was held in Algiers under the title “Human Development as a Driver of Cooperation in the 5+5 Dialogue”. The third edition of the Forum, co-organised by the Union for the Mediterranean, the European Institute of the Mediterranean (IEMed) and in collaboration with the Algerian National Institute of Strategic Global Studies (NISGS), brought together more than forty experts and representatives of think tanks and diplomatic institutions from the Member States of the 5+5 Dialogue. EMEA Founding President and EMNES Scientific Director, Prof. Rym Ayadi, participated in the session “Youth, education and employment in the Western Mediterranean: an incomplete transition”, along with Tahar Rahmani, General Delegate, L’Agence de l’Entrepreneuriat en Méditerranée (ACIM), Yacine Belarbi, Director, Centre de Recherche en Économie Appliquée pour le Développement (CREAD), and Haizam Amirah Fernández, Senior Researcher in the Mediterranean and Arab World, Real Instituto Elcano. The session was chaired by Marisa Farrugia, Ambassador, Special Envoy to the General Secretariat of the Union for the Mediterranean. Please click here to watch a video of Prof. Ayadi’s intervention during the session.